ASUS teases the VivoTab Smart Tablet, a 10.1" Windows 8 tablet with the Intel Atom Z2760 dual-core processor and an IPS display with a 1366 x 768 pixel resolution. The device features a "TransSleeve", a cover that doubles as a keyboard and a stand. ASUS today launched the VivoTab™ Smart tablet with 10.1-inch HD display and full Windows 8 experience, all at an affordable price. VivoTab™ Smart is perfect for work and play, at home or on the move. Thin and light, VivoTab™ Smart features an Intel® Atom™ dual-core processor for full compatibility with new and existing Windows 8 software, and an optional TranSleeve Keyboard that magnetically combines screen protection with a wireless keyboard for enhanced productivity. 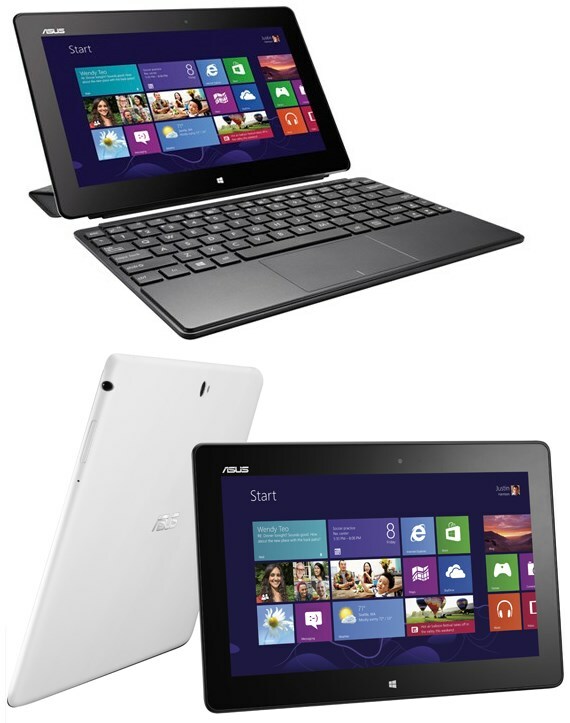 Just 9.7mm thin and 580g light, ASUS VivoTab™ Smart has a 10.1-inch LED-backlit display with a crisp 1366 x 768 HD resolution. IPS display technology delivers 178-degree wide viewing angles and ensures clear and bright images, even when seen from the side. VivoTab™ Smart also features 5-point multi-touch for fluid fingertip control with Windows 8. The TranSleeve Keyboard is an innovative accessory that is a cover, keyboard, and stand all rolled into one. It not only aids in the typing experience, but protects the tablet as well. With its Intel® Atom™ Z2760 dual-core processor, VivoTab™ Smart delivers fast and responsive performance, while still providing up to 9.5 hours battery life on a single charge. VivoTab™ Smart gives complete peace of mind to users too, thanks to complete compatibility with both Windows 8 Store and Desktop apps, along with plug and play support for a wide range of existing peripherals. ASUS VivoTab™ Smart features high-quality cameras front and rear. The 8-megapixel rear camera with auto-focus, five-element lens and 1080p Full HD video recording captures precious moments with crystal clarity, while the front 2-megapixel camera is perfect for face-to-face video chat. VivoTab™ Smart also features renowned ASUS SonicMaster audio technology for incredible sound quality with all kinds of listening material from its built-in stereo speakers.